最新アルバム! 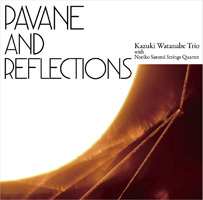 渡辺かづきTRIO "Pavane and Reflections"
(C) Copyright Blissful Music 1999-. All rights reserved. Administration by YUI WORKS Inc. E-mail:yamauchi@yuiworks.co.jp.